It’s time to say a warm Thank You to our Guest Designer Olga who has been on our team for some weeks now. We have enjoyed all of her inspiring projects and wish her the best of luck with her future assignments! Hi guys it’s me Olga! Today I have for uou Fluffy Art Journal . I did it for my friend Gosia, who love vintage style. All insert is from Amazing PION papers stitched and glued together. 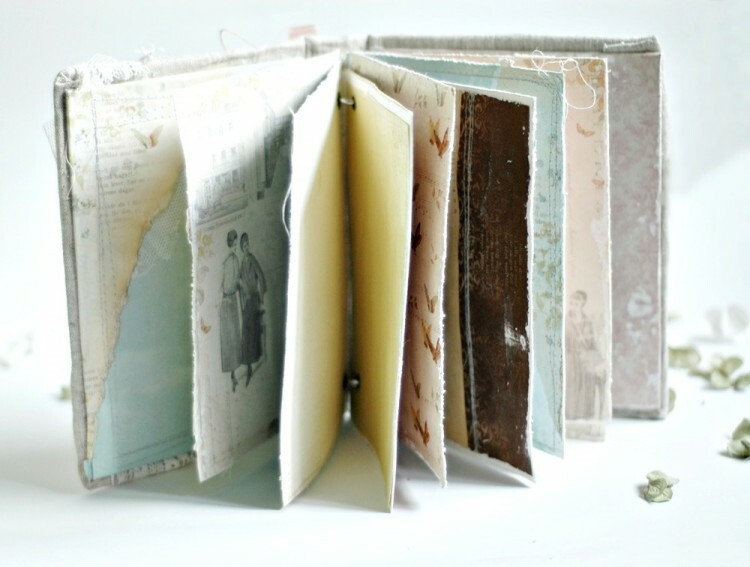 Some of pages are distressed – some of them not. 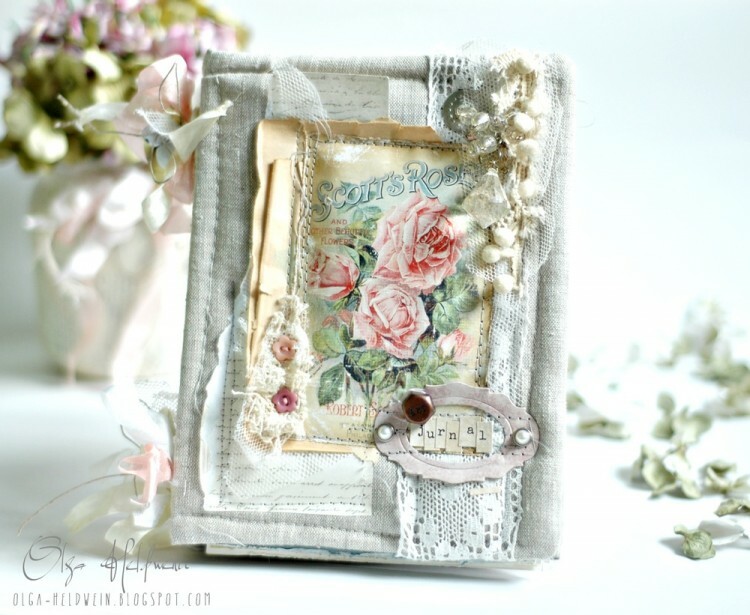 Gosia is big fan of Pion papers so I’m sure this amazing pages inspire her to make fabulous art on them!